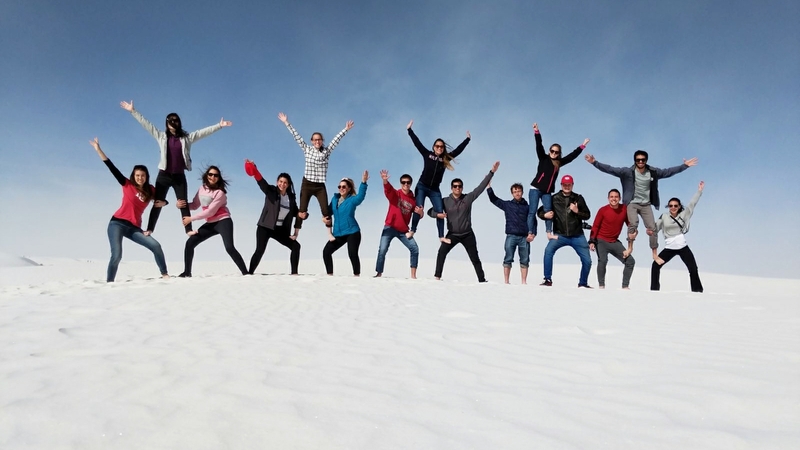 Friends of Fulbright had fun visiting White Sands, N.M. Dancing "Chacarera" at Argentina Night. Saying goodbye at the Friends of Fulbright Farewell Ceremony. 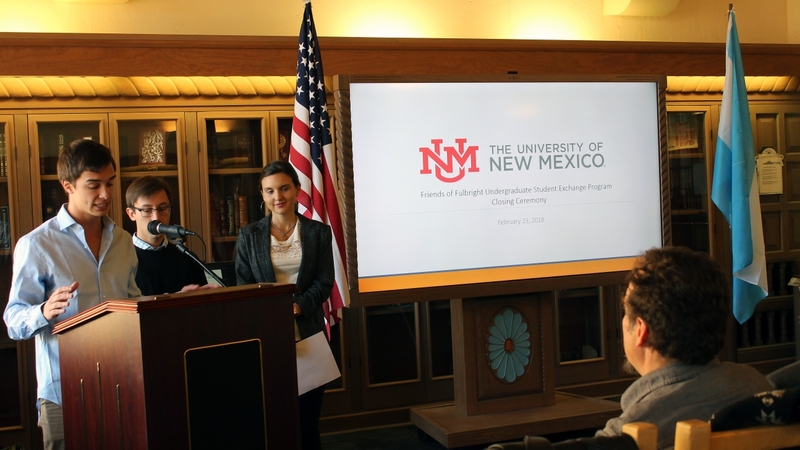 Skye Finke was one of many local students from The University of New Mexico that befriended the Friends of Fulbright scholars from Argentina. UNM recently hosted 16 undergraduate Fulbright students from Argentina for a six-week immersion program in an American university. Their visit to UNM left a lasting impact beyond the classroom. "People from different places aren't necessarily so different," said Finke, a junior majoring in international studies. "Getting to know these students left an enduring influence on many of us here,” said Finke. “I am so grateful to have had the opportunity to get to know them and can already tell that this relationship does not end here." The Friends of Fulbright participated in two courses in each students' field of study, one Honors College course, and custom graduate school preparation workshops between the beginning of the semester and the end of February. The program was designed by the UNM Global Education Office and was developed to both provide a meaningful study abroad experience for these students and bring additional and diverse perspectives into UNM's classrooms. "It is incredible to see the huge effect they have made on our campus. They have been a wonderful addition to our classes in the Honors College, as they also contribute their knowledge to the classroom. 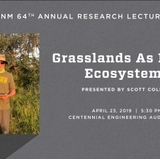 It has truly been an enriching experience for both UNM and the students," said Michael Thomas, Honors College professor and one of the faculty coordinators for the program. Not only did the Friends of Fulbright make an impression on UNM but also UNM made an impression on them. "As an English education major, this experience has allowed me to learn English in a country where it's spoken as a first language,” said Micaela Grinovero, scholarship recipient and English education major from the Autonomous University of Entre Ríos in Paraná, Argentina. “I think this trip is an enriching cultural experience and is excellent for us to understand how the educational system works in other parts of the world." The visiting scholars have also had the opportunity to engage in the UNM community outside of the classroom. 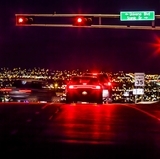 By living on campus, they have already made many close bonds with local UNM students. 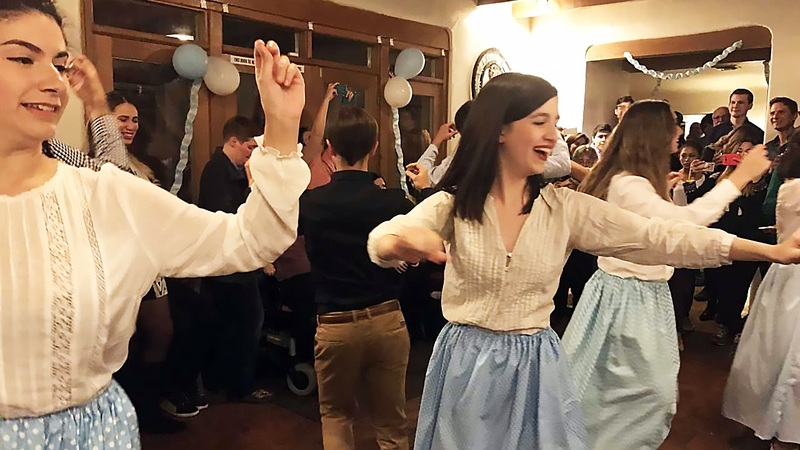 One evening the students gathered for Argentina night, in which they prepared traditional food such as empanadas and alfajores and invited both friends and faculty to learn more about Argentine culture. The scholars also had the opportunity to explore more of the New Mexican culture and scenery visiting sites such as Albuquerque's old town, downtown, Sandia peak, White Sands, Jemez Springs, Tent Rocks, and Meow Wolf in Santa Fe. For these scholars, the Friends of Fulbright was not just a scholarship, but a personal enrichment experience. "We originally came here to study and to improve in our academic fields, but it has also become a life journey full of love, friendship and adventures," said Ana Belén Cangiano, one of the scholars. UNM faculty member and program support Veronica Plaza said that she wished the students could stay longer. "Hopefully we could host another group of Fulbright students soon, or send some of our own UNM students to Argentina to participate in a similar program. They have been an inspiration to our UNM community," she said. 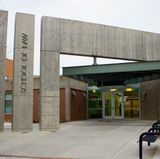 The students developed a special relationship with Plaza as she is originally from Argentina and was a significant source of support during their time on campus as a mentor, advisor, and friend. "This could be only the beginning of something great for the future,” added Plaza. “It is with great honor that UNM hosted the Friends of Fulbright and we look forward to what the future will hold."